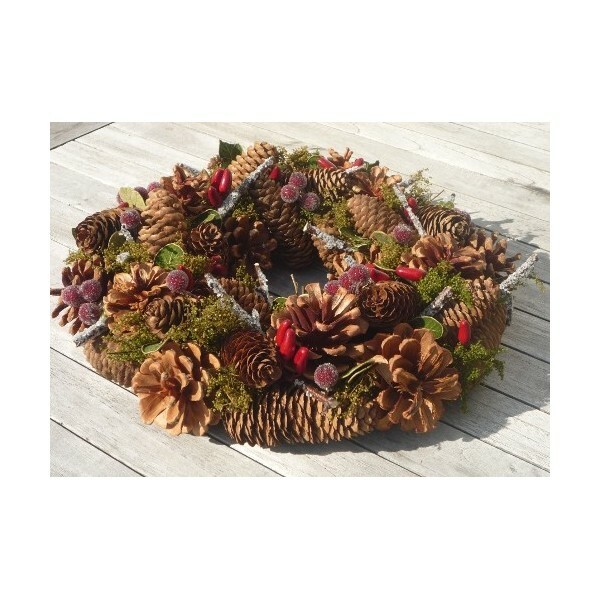 Chunky wreath made from a selection of different varieties of pine cone. 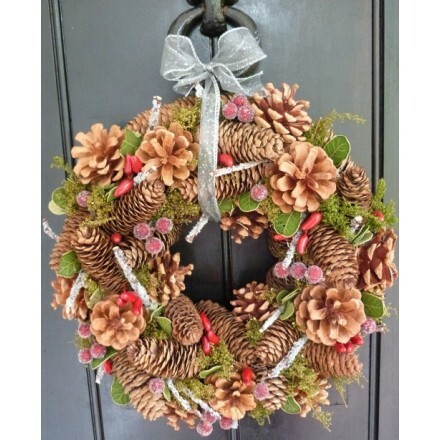 Faux chilli, frosted berries twigs and green leaves and foliage make this wreath a Christmassy welcome to any front door. Alternatively place on a table - centre stage, with a large church candle in the middle. To hang on a door you wlil need a length of ribbon to tie it. A metre of silvery sparkly ribbon is included with every purchase with our compliments. Comes boxed for safe storage in the attic the rest of the year round. 32 cms in diameter. 9 cm high.